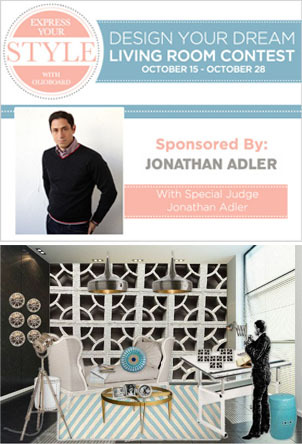 I was excited about this series so I entered the final Layla Grayce- Design your Dream Dining room judged by top designer Tobi Fairley. She has a fresh and colorful signature style and yesterday she mentioned my winning board on her blog. Read the article here. 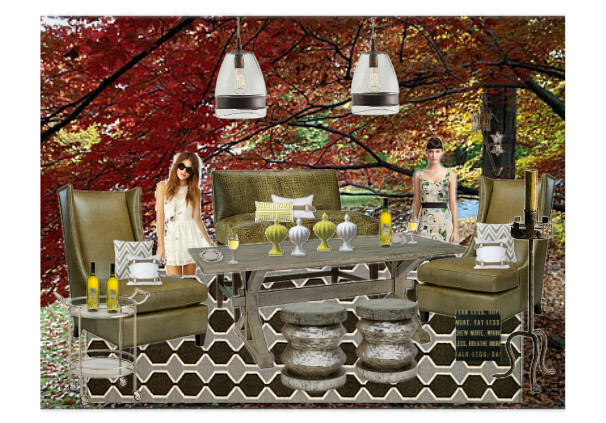 Below is my dining room entry called Grotto. The foliage is from my yard. This tree is magnificent in the fall and creates such an intimate space under its branches. I thought it would be a perfect setting to dine with friends. If you would like to vote for my board, click here. Thank you! !